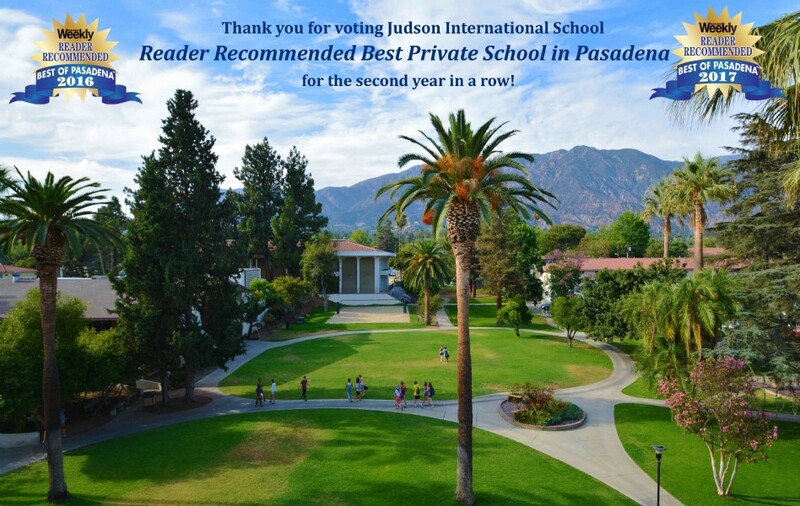 We are pleased to announce that Judson has once again been voted the Pasadena Weekly's Reader Recommended "Best Private School in Pasadena." We are pleased to announce that Judson School has received the 2017 Pasadena Weekly award for "Reader Recommended Best Private School in Pasadena," an award we also received in 2016. This award was based on the votes of residents throughout Pasadena. This award is the fourth educational award Judson has received in the last two years. In 2016 we received the Beacon Media Silver Award for "Best Private Co-ed High School in San Gabriel Valley and the Pasadena Weekly 2016 award for "Reader Recommended Best Private School in Pasadena." In addition to this most recent award, we also won the 2017 Beacon Media Gold Award for "Best Middle School in San Gabriel Valley." We believe that the combination of our unique curriculum, our focus on knowledge through investigative learning, our teaching of understanding through critical thinking, and our passion for wisdom to act with justice and mercy have been a winning combination. At Judson students love to learn and care deeply about their school community and the world beyond. Our junior high sports teams have been busy practicing and they will both be playing today! 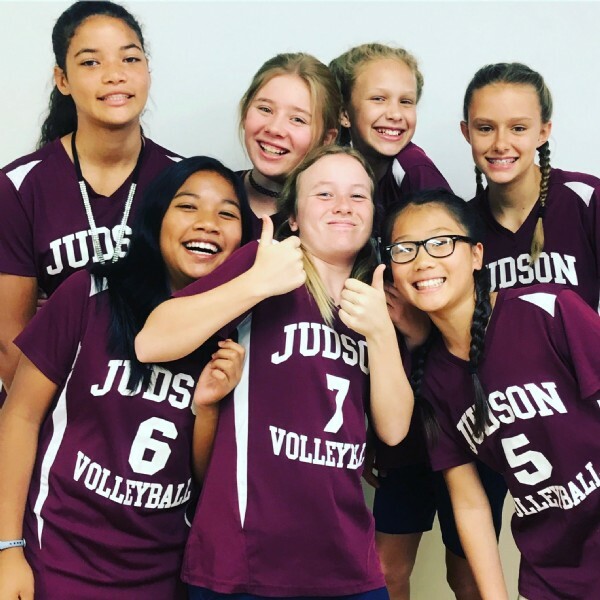 Fall Junior High Athletics at Judson International School includes varsity and junior varsity girls volleyball and boys flag football teams. 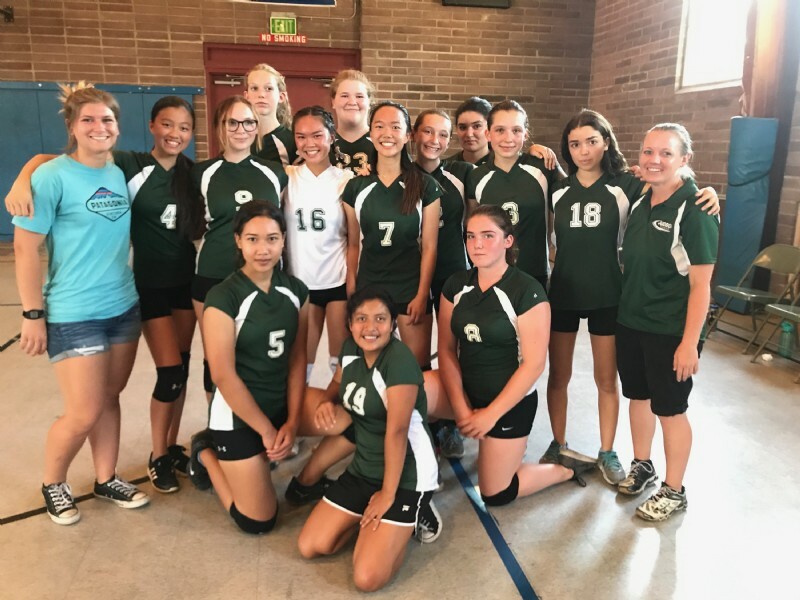 We are excited to have our first girls volleyball game happening today (October 3) vs. Aveson at Loma Alta park 4 pm. We also have our first boys flag football home game happening today on our Judson field at 3:45 pm. Come on out and cheer on our Eagles! To keep up with the game schedule visit the Athletics page of our website. Judson has excellent coaches for all sports. 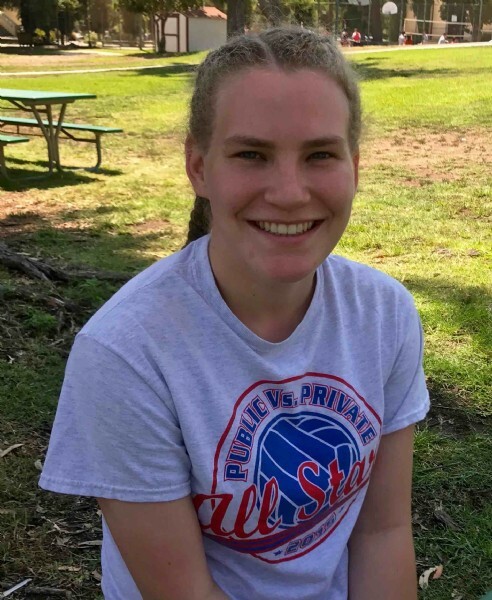 We are excited that Judson alum Hannah Beckler is joining us this year to coach the junior high girls volleyball team. We are very happy to have Chuck Fields, our Athletic Director, coaching the junior high boys once again this year. 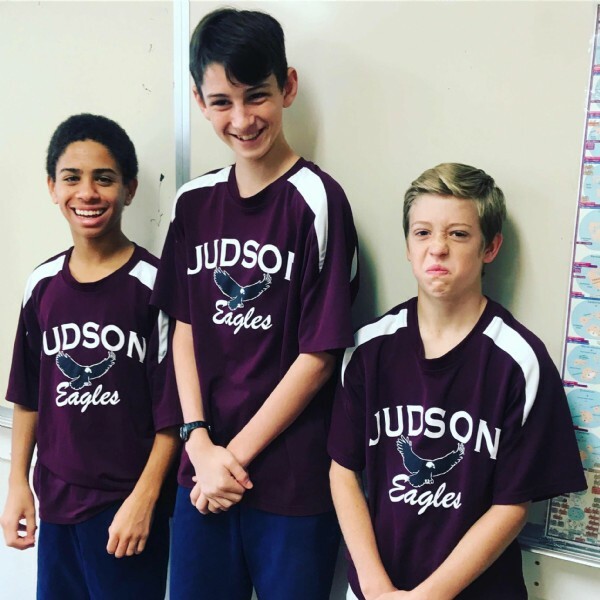 Judson's aim is to demonstrate sportsmanship, to grow in character, to develop meaningful relationships, and to gain a clearer understanding of what it means to be Christian in the context of team sports. Judson International School's Sports Program accepts all students who wish to participate in any of our sports. Our coaching staff will coach all athletes regardless of their ability. Our coaches' desire is to introduce all the benefits of playing competitive sports to the first-time athlete and advance the returning athlete to a higher level of athletic ability and competition. Our teachers have been busy taking Judson students on field trips. See the photos here! One of Judson's core values is knowledge through investigative learning. We love our students to get out exploring the world and learning by doing and seeing. 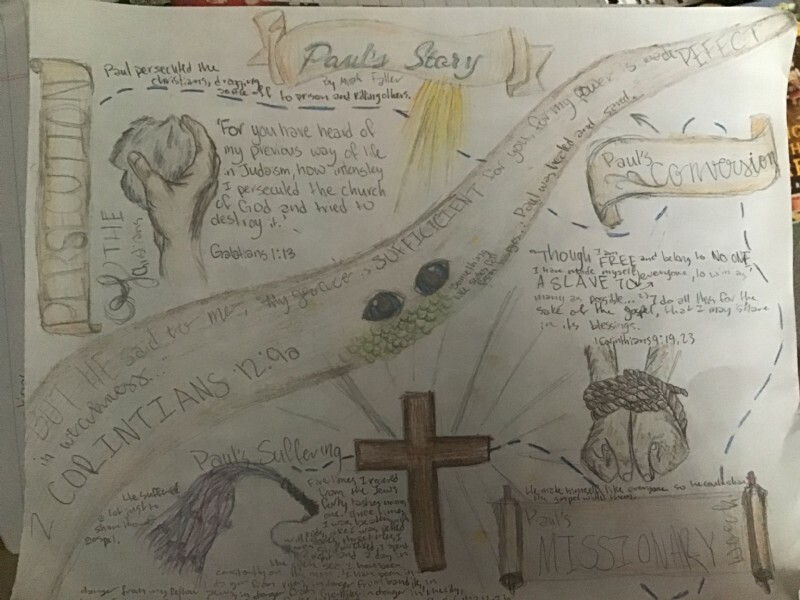 This fits in well with the International Christian Curriculum , a unique integrative curriculum that teaches children from the earliest age about understanding the world. Already this year our Judson elementary teachers have been busy taking their students on field trips. The first and second graders went to the La Brea Tar Pits as part of their student of paleontology. To learn about astronomy, the third and fourth graders went to the Griffith Observatory with their teacher Mrs. Berry. Fifth and sixth graders went to the California Science Center to learn more about anatomy and physiology. Such investigative learning opportunities enhance our STEM curriculum and provide students with memorable experiences that enhance the classroom. Read here about Judson High School's partnership with Waldorf High School to provide CIF-SS athletics teams for our schools. Judson International School of Pasadena and Pasadena Waldorf School in Altadena both began as K-8 schools which have added high schools over the past 5 years. While the smaller size of both high schools provides excellent faculty/student ratios and creative learning options, providing competitive athletics at the high school level can prove a challenge. Thus Judson Athletic Director Chuck Fields and Waldorf Athletic Director Blake Bailey came together with an interesting solution: the formation of shared high school athletics teams. Together they applied for and gained a multi-school agreement which was approved by the California Interscholastic Federation Southern Section (CIF-SS) governing body. 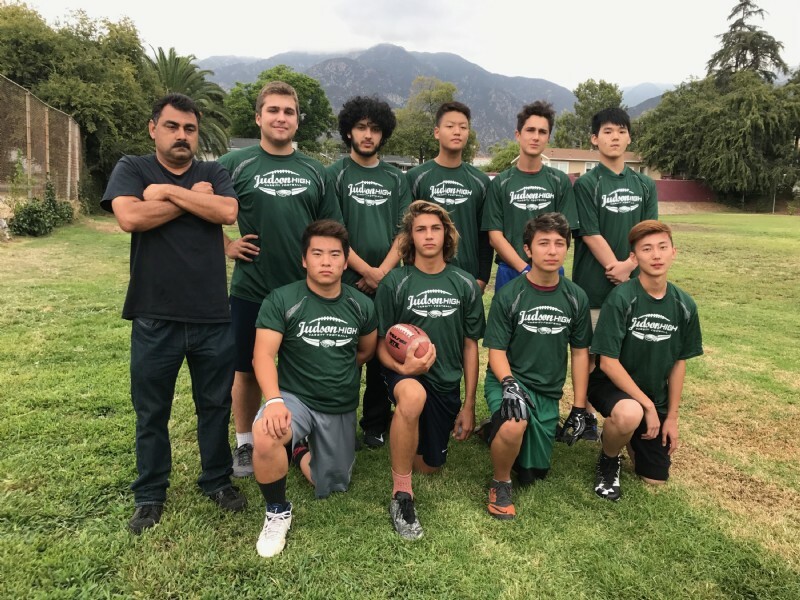 Currently, the Judson/Waldorf Eagles fall athletics program includes California Interscholastic Federation (CIF) high school girls volleyball team and an independent San Gabriel league boys flag football team. "Athletics is an integral part of the development of the whole student, so being able to create this relationship with Waldorf that enables students to grow in athletics is a wonderful opportunity," said Judson AD Chuck Fields. In their first year, the Judson/Waldorf Eagles high school girls volleyball team is off to a great start with a 3-1 record. In their second year, the Judson/Waldorf Eagles boys flag football team already has a trophy under their belt with a first-place finish in the League of Fellowship championship this past season. Winter high school athletics will include high school boys and girls CIF basketball. 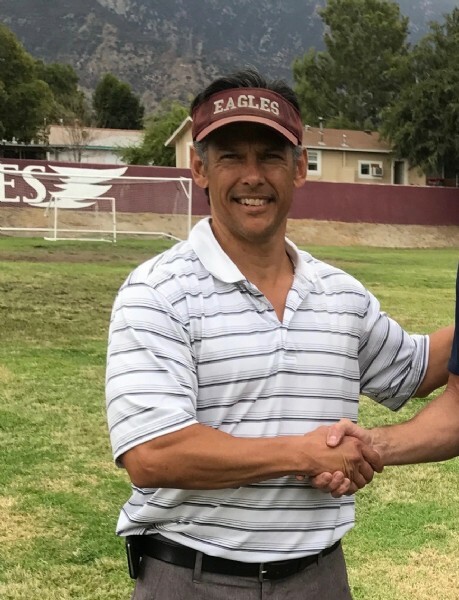 "I am looking forward to the opportunities that the Judson/Waldorf Eagles teams will provide for kids from small schools to play CIF sports," said Pasadena Waldorf AD Blake Bailey. In this continuing series, hear from a few of our high school teachers about why they love teaching at Judson. 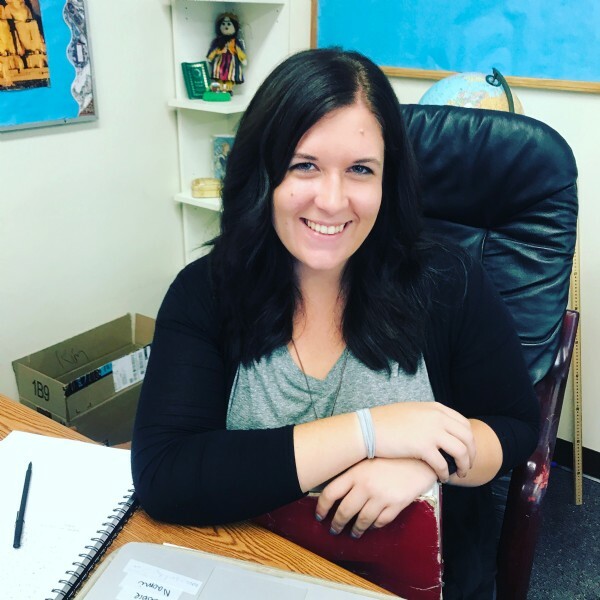 Mrs. Giron teaches a variety of courses in our high school including English 9, English 10, American Literature, World Literature, and Journalism. In her third year at Judson, Mrs. Giron is a published author and won an ACFW Genesis Award for her first novel, Beneath a Turquoise Sky which is set at a Navajo mission boarding school in 1911. She is currently working on a second novel which is a historical romance set at Fort Tejon, California during the American Civil War. Coming to Judson from the Pasadena City College Writing Center, Mrs. Giron writes frequently for her own blog. Mrs. Giron loves teaching at Judson, saying "I love Judson because our school brings the perspective of many different cultures. I love the texture that this brings to discussions because of our diverse life experiences." 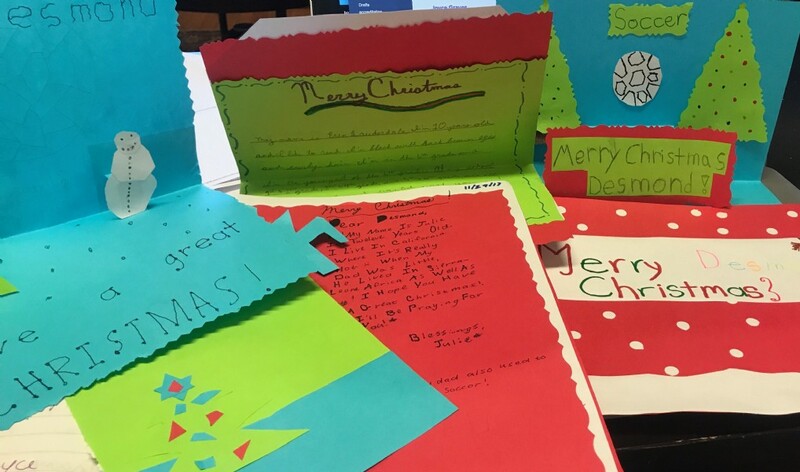 Mrs. Giron, who has her BA in English from Asuza Pacific University, loves to bring literature to life in her classroom by having her students engage in Socratic discussions of the texts they are reading. Mrs. Aasland comes to us with a wide variety of international experience. As a child, she lived in Istanbul, Turkey and Kano, Nigeria. After receiving her BA from Carleton College and her MA from the University of Minnesota, Mrs. Aasland and her husband and children moved to Kazakhstan where they worked and ministered for 16 years. Mrs. Aasland taught History at Tien Shan International School in Almaty, Kazakhstan for 8 years. 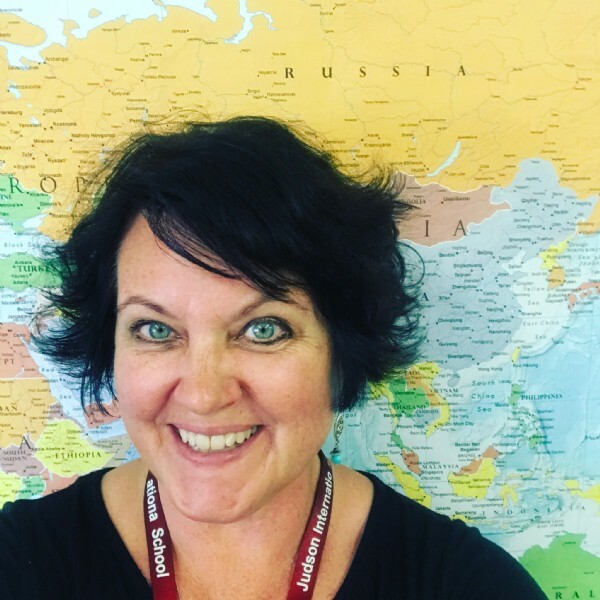 Fluent in Kazakh and Russian, Mrs. Aasland loves the international flavor of Judson and meeting students from all over the world. In her 6th year at Judson High School, Mrs. Aasland teaches World History 1, World History 2 and Honors World History courses. One of her proudest moments at Judson was this past academic year when 100% of her honors students passed the AP World History test. Mrs. Aasland says, "My goal is that every student will learn to love history and see its significance." Known for her field trips and costume box, Mrs. Aasland loves to make history come alive through a variety of means including occasionally "mummifying" a student or acting out the betrayal of Julius Caesar at school every March 15. The best comment she receives from students is that they remember her classes for years after they studied with her. Mrs. Aasland also serves as our Director of Admissions and Marketing. 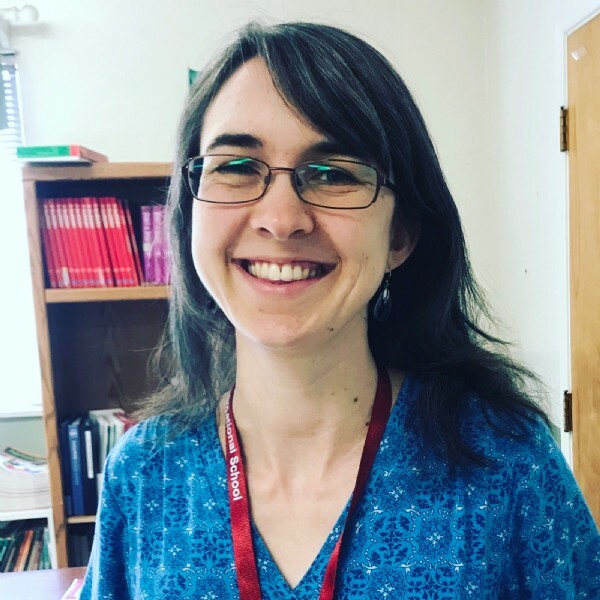 It is not too often that the most popular teacher in high school is the math teacher, but Miss Todd brings such an energy and kindness to all she does that she has earned that title. In her 2nd year at Judson, Miss Todd is known for restoring students' faith in their ability to do math. Miss Todd grew up in Hawaii and received her BA from Biola University. Desiring to instill a love of math in her students, Miss Todd has taken initiative to bring the American Mathematics Competition to Judson School, through which one of our students received distinction during the 2016-17 academic year. Miss Todd also created a fun Pi Day video with our students and entered it into a competition. Miss Todd says of Judson, "Our students are the most caring I have seen at any school. We have a great sense of community." Miss Todd teaches many levels of mathematics at Judson from Pre-Algebra all the way up through Calculus. Mr. Rinker takes great joy in teaching our Judson High School Bible Courses. "I love that at Judson my students think about ideas that we've been discussing and take them even further." 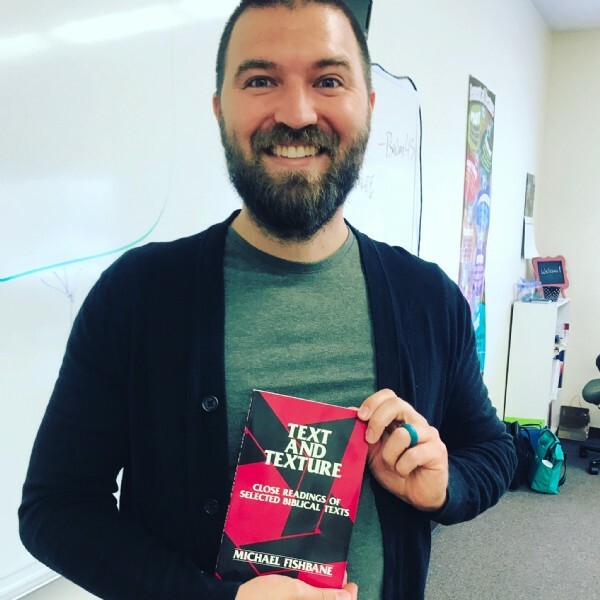 In his third year at Judson, Mr. Rinker comes to us with an MDiv from Fuller Seminary. In addition to teaching at Judson, Mr. Rinker serves as a youth pastor at Pasadena Covenant Church. Mr. Rinker is a frequent guest lecturer and speaker around the nation and has his own blog. A former microbiologist, Mrs. Wright is excited to teach Biology at Judson. Mrs. Wright comes to Judson with 12 years experience teaching junior high and high school science. Married to a New Zealander, Mrs. Wright recently returned from a two week trip to New Zealand. She is excited to begin dissections and labs in Judson's new science laboratory. Mrs. Wright says, "I love sharing my passion for learning about all of creation." Mrs. Wright teaches Biology 1 and Honors Biology at Judson. Mrs. Graves is in 4th year at Judson International School and comes to us with over 30 years of teaching experience in both public and private school. Mrs. Graves loves traveling and has been to China, France, Switzerland, Italy, England, Scotland, and Ireland. In addition to her teaching credential, Mrs. Graves hold a certificate in Teaching English as a Second Language (TESOL). Mrs. Graves greatly enjoys teaching at our school and says "I love the sense of community at Judson." A fun fact about Mrs. Graves is that she has two sets of twins - one identical and one fraternal. Her twin boys were on the TV show Cheers as babies; they have been on many other TV shows, movies and even a boy band since. Mrs. Graves teaches ELDEnglish and ELD History and also serves as our Director of International Student Services. Simon Shiyan, grade 6 student at Judson International School, recently placed 17th in the world for 12 year category at the World Youth Chess Championship held August 19-31 in Brazil. Simon, a resident of Pasadena, has been playing chess for 5 years and has competed all over the world including Greece, Georgia and China. Simon hopes to begin an advanced chess club at Judson International School to add to their existing chess club options. Simon Shiyan (left) of Judson International School places 17th in the world in his age category at the World Youth Chess Championship in Brazil. Simon Shiyan (right) of Judson International School places 17th in the world in his age category at the World Youth Chess Championship in Brazil. We are pleased to announce that for the second year in a row, Judson has won a Beacon Media Readers Choice award. 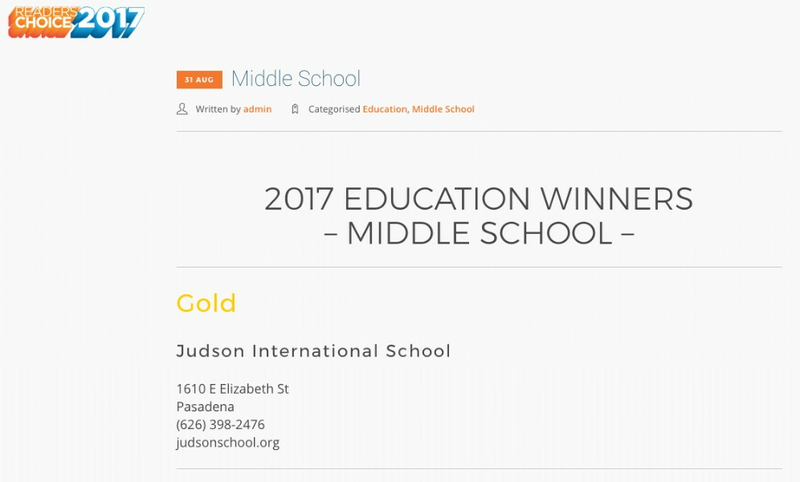 We are pleased to announce that Judson School has been awarded the Beacon Media Gold Award for "Best Middle School in San Gabriel Valley 2017." This award was based on the votes of residents throughout San Gabriel Valley. This award is the third education award Judson has received in the last two years. In 2016 we received the Beacon Media Silver Award for "Best Private Co-ed High School in San Gabriel Valley. We also received the Pasadena Weekly 2016 award for "Reader Recommended Best Private School in Pasadena." We believe that the combination of our unique curriculum, our focus on knowledge through investigative learning, our teaching of understanding through critical thinking, and our passion for wisdom to act with justice and mercy have been a winning combination. At Judson students love to learn and care deeply about their school community and the world beyond. Our junior high journalism students have begun our very first Judson podcast station. You can listen and subscribe by clicking on "View More" below.